Hamas, which imperiously rules Gaza, has been named in the latest issue of Forbes Israel as the world’s second-richest terrorist organization. It annually rakes in a billion dollars, outdone only by Islamic State (a.k.a. Da’esh, ISIS, ISIL) which – with an annual income of some two billion dollars – tops the chart of terrorist moneybags. Hamas’s financial success has by far eclipsed Hezbollah, Taliban and al-Qaida. IS finances its offensives by selling thousands of barrels of Iraqi oil every day on the black market. Hamas’s chief sources of earnings, according to the exhaustive Forbes report, are accrued from skimming hefty sums off foreign NGO donations and putting the squeeze on ordinary Gazans – the very ones the NGOs are ostensibly seeking to aid. Hamas taxes them to the hilt, imposes harsh penalties and fees and also engages in black market commerce. All provisions and materiel that enter Gaza fall under the control of Hamas henchmen who heftily profit from their distribution and/or retail. 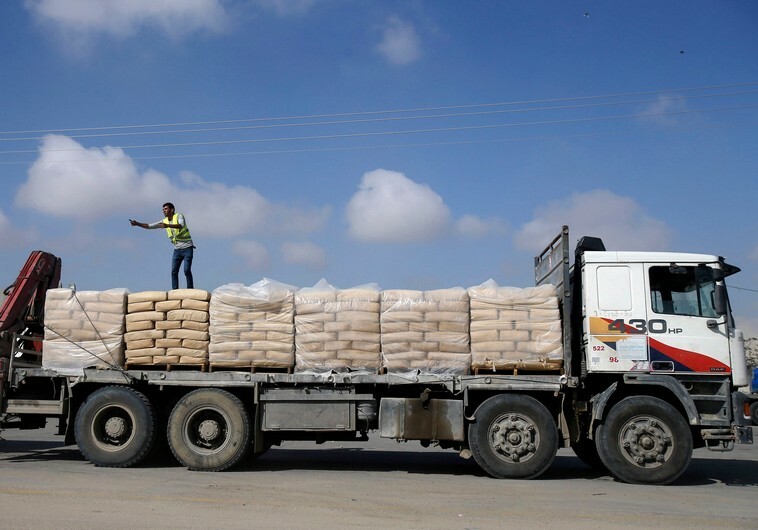 Such supplies enrich Hamas and enhance the organization’s power – above and beyond travesties like using cement earmarked for civilian construction to reinforce labyrinthine attack tunnels into Israel. The Forbes data should, if nothing else, induce a sobering rethink among those who for all intents and proposes are underpinning the very terrorist hierarchy that foremost brings misery to Gaza but then pleads for overseas assistance to fix the damage. These include charities, businesses, financial institutions and foreign governments. They all appear intent rebuilding Gaza after the ravages of last summer’s fighting. The problem is that the very overlords who inflicted disaster on the population under their sway happen to be extremely affluent. Instead of going hat in hand to the international community, they might be asked to bankroll some of the reconstruction. They have impressively deep pockets. More than anything, Hamas needs cash flows from abroad to further line its own pockets and underwrite its military capabilities. Amassing, maintaining and deploying rocket arsenals doesn’t come cheap and neither do mobilizing, training and sustaining sizeable militias. Perversely, foreign NGOs pay for all that, thereby sowing the seeds of more destruction in Gaza – the very sort they are now purportedly out to repair. The incontrovertible fact of the matter is that there is very little supervision over the foreign aid funneled into Gaza. Worse yet: the few token procedures that pro forma pass as oversight, are sorely inadequate. In this context the words of warning sounded last week by European Parliament member Arne Gericke of Germany are salient. He noted that in December 2013, the European Court of Auditors could simply not trace or account for a whopping €400 million of the foreign aid the EU earmarked for the Palestinian Authority and Gaza. These funds are missing and it’s anyone’s guess in whose hands they ended up and for what nefarious purposes. Gericke added that this month the Auditors found that 2.6 percent of the EU’s budget for “external relations, aid and enlargement” was misused. In other words, there’s no indication of where the sums are stashed. Gericke reckons that if this proportion is applied to the €450 million that the EU pledged to Gaza, it may plausibly (and quite conservatively) be deduced that in due course at least €11.7 million is likely to reach Hamas’s coffers. It’s no stretch to say that the financial operations of terrorist organizations closely mimic those of organized crime – including protection rackets and extortion. The international community, NGOs and assorted charities cannot conceivably insure fair play. They need to ask themselves in earnest whether they want their benevolent contributions to fall into the wrong hands. Do they want to actually prop up villainous fat cats instead of actually helping the needy? Misplaced philanthropic generosity is likely doing far more harm than good. The very solicitation of contributions for a Hamas-run domain may be part of an elaborate con. The aggregate of international donors who in Cairo last month promised $5.4 billion to the Gaza regime would do well to ascertain that they haven’t been cast as the willing dupes in a massive scam. Hamas is like IS + Don Corleone. So Hamas is now a “recognised” member of normal international financial relations amongst the political classes – i.e. slush funds, bribery, corruption, back handers, overseas accounts in willing and greedy banks, compliant rulers and leaders hosting their shenanigans etc etc. So what’s new in the world? Nothing, twas ever thus! “Es ist a koorvishe welt” !!!!!! – meaning – it’s an immoral world!. You’re much too kind Sarah. They are not dupes. They’re simply willing. wind up in the hands of Allah worshipping Palestinian terror mafias. Most certainly, these reprobates should be made to pay for the atrocities they commit, and the misery they cause. And the U.S. Congress should pass legislation that deducts the cost of those atrocities from the $500,000,000 in annual aid they get from the USA; including the cost of the candy they pass out. No way should any Israeli affected, directly or indirectly, by their atrocities pay one cent or shekel for them. American Jews reading this article should call their Congressman or Senator. and get this legislation passed. (Even though you’ll get sarcasm from some of the more “Progressive” politicians) Nice article, Sarah. And necessary.